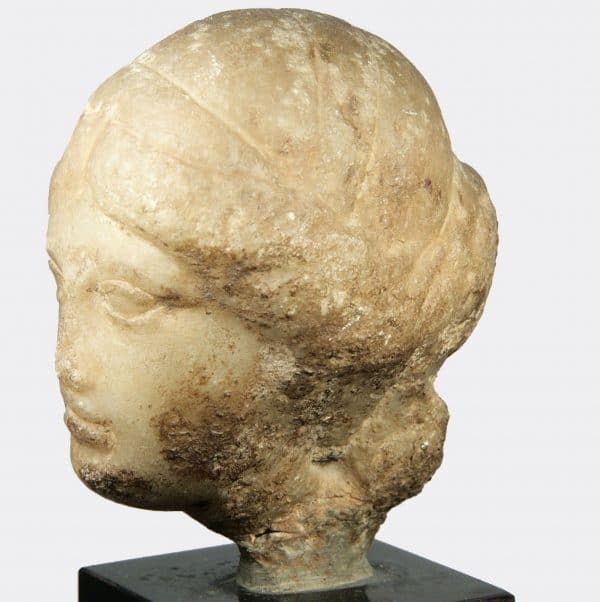 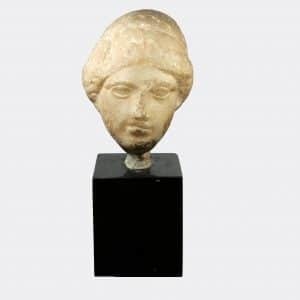 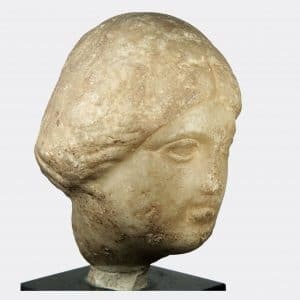 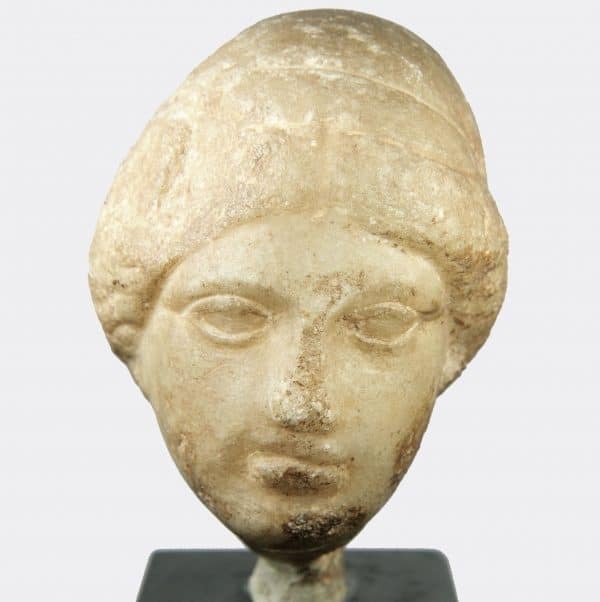 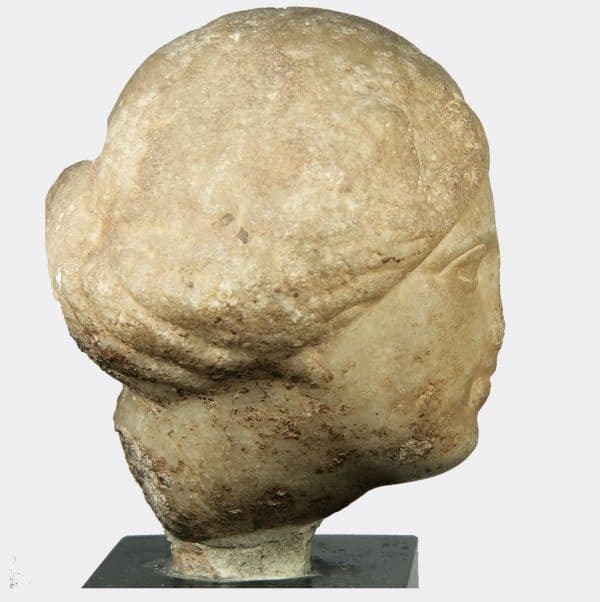 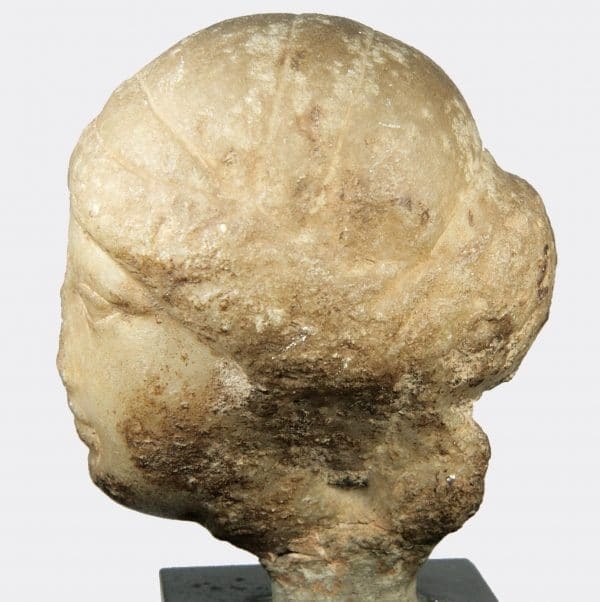 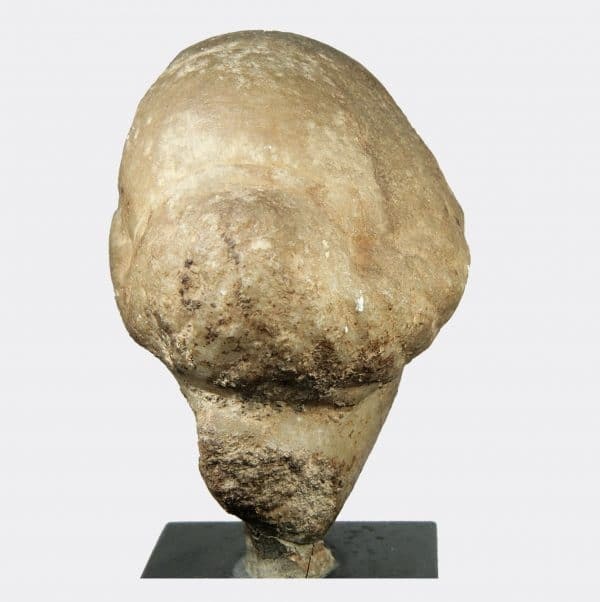 A marble head fragment depicting a young woman with ribbon fillets tied in her hair. Probably a fragment from a relief as the sides are slightly asymmetrical. Ex. 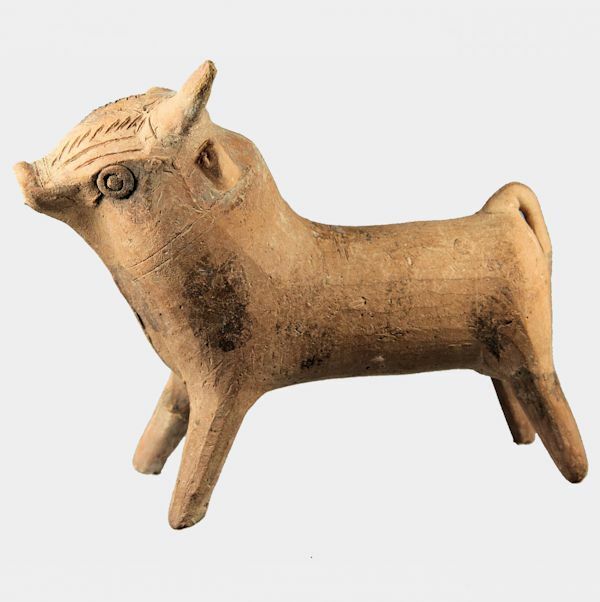 private collection, East Anglia, UK; acquired in the late 19th Century and thence passed by descent through three generations.